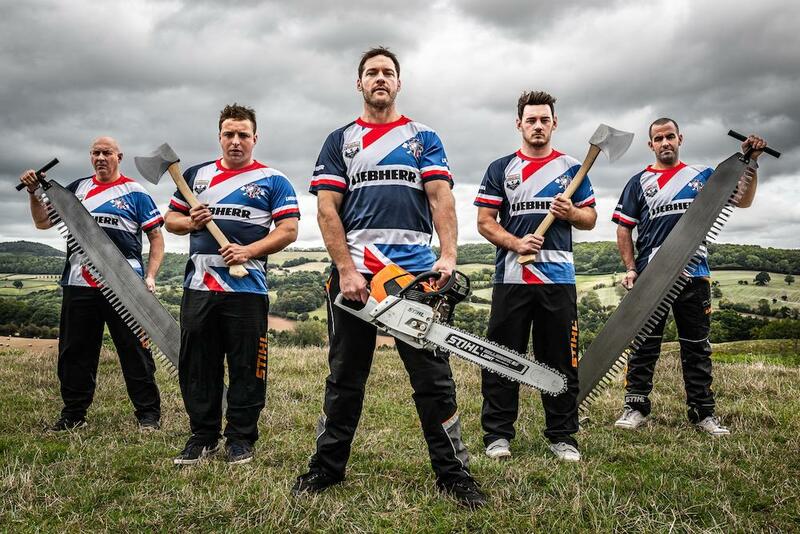 TIMBERSPORTS® today announced the team that will represent Great Britain at the Stihl TIMBERSPORTS® World Championship, which takes place at the Echo Arena Liverpool on October 19-20. British champion Elgan Pugh will be joined by fellow countrymen Glen Penlington, David Thomas and Andrew Evans - with Craig Golder in reserve - as the UK hosts the Stihl TIMBERSPORTS® World Championship for the first time in its history. Stihl TIMBERSPORTS® is an international extreme sports competition series that involves athletes sawing, slicing and chopping wood at speed, using axes and saws. The World Championship will see the best athletes from more than 20 nations around the globe battle each other against the clock in a variety of highly-skilled, fast-paced disciplines inspired by the logging industry. The British hopefuls will take part in the Team Event on Friday, October 19, as the national teams compete against each other in a knockout system, where the disciplines of Stock Saw, Underhand Chop, Single Buck and Standing Block Chop are completed by four athletes in a relay. Elgan Pugh will then take his place in the Individual Event on Saturday, October 20, as the world’s top 12 athletes compete against one another in all six disciplines. Team GB are looking to make the most of the home advantage, whilst the 2017 individual winner Jason Wynyard and team competition winners New Zealand will be hoping to retain their titles. British champion Elgan Pugh commented: “It’s an honour to be named in the British team and I can’t wait to represent the country as we host the Stihl TIMBERSPORTS® World Championship for the first time.